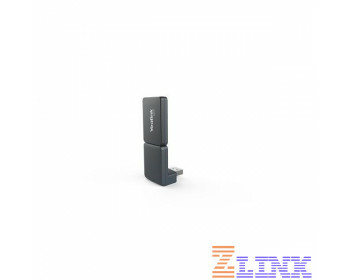 The Yealink DECT DD10K dongle allows for the Yealink T41S/T42S to work as a handset after you pair it with the W60B DECT IP base. This system creates a DECT connection that is quick and reliable without the need for expensive wiring and messy cabling. The DD10K complements the Yealink DECT series. This quick plug-and-play accessory easily attaches to your desk phone giving it DECT capabilities. The Yealink DD10K is compliant with the CAT-iq 2.0 standards, and it is easy and safe to deploy, guaranteeing a flexible and optimal user experience. Why Pay $ for the Yealink DD10K DECT Dongle ?